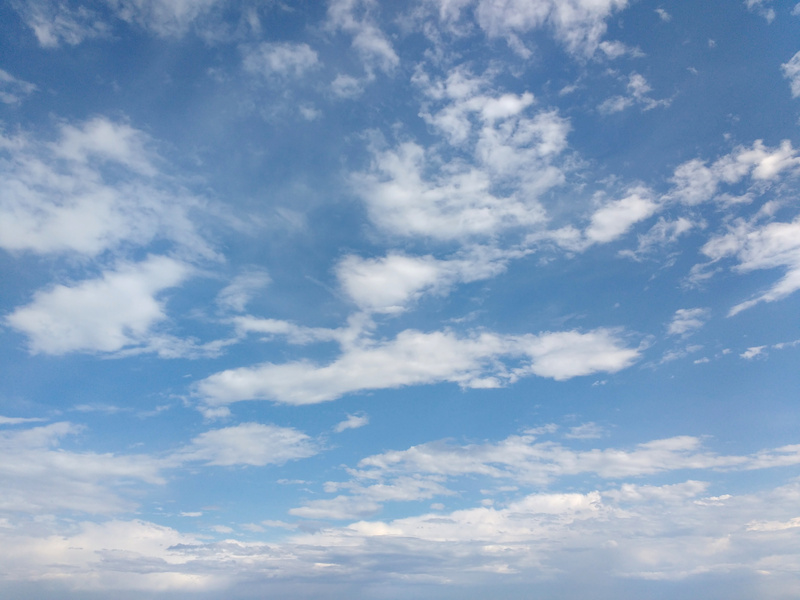 Free high resolution photo of a beautiful blue sky with white clouds. This picture was shot just above the horizon line, showing the clouds in the sky. Great background, wallpaper, or texture image for a website, blog, computer, phone, scrapbooking or Photoshop. Free image for any use.